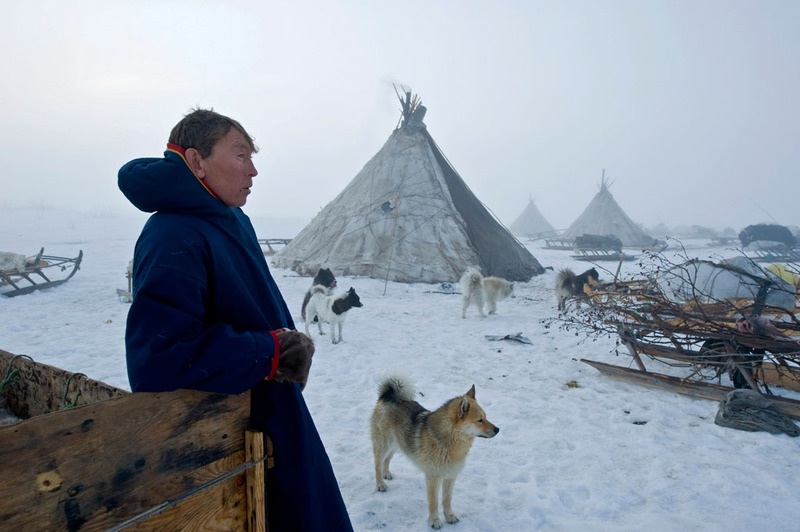 The word yamal in the language of the Nenets, the indigenous inhabitants of northern Siberia, means “the very end of the world” and the Yamal Peninsula certainly is that. 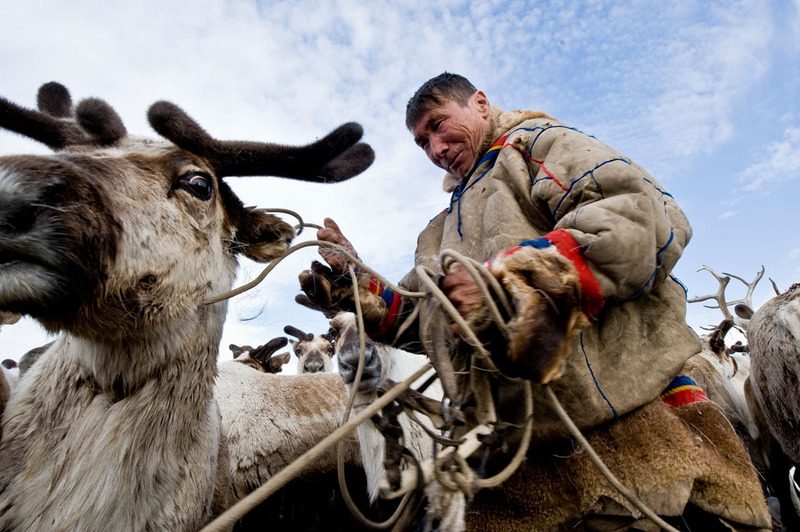 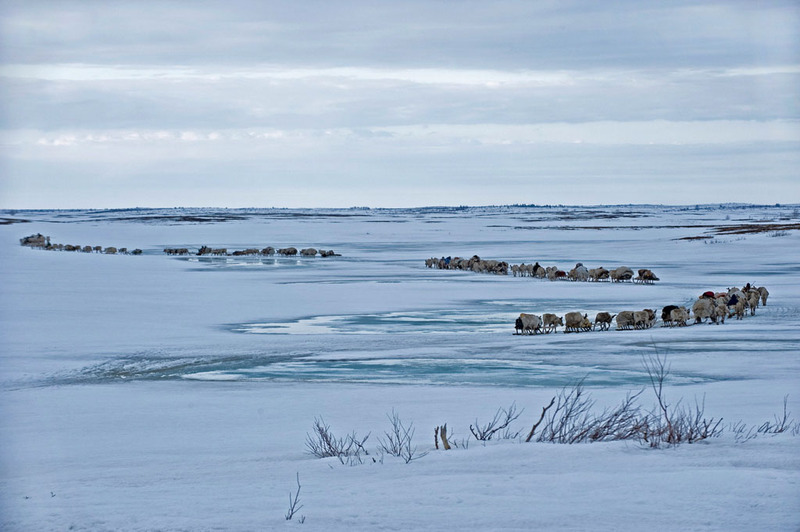 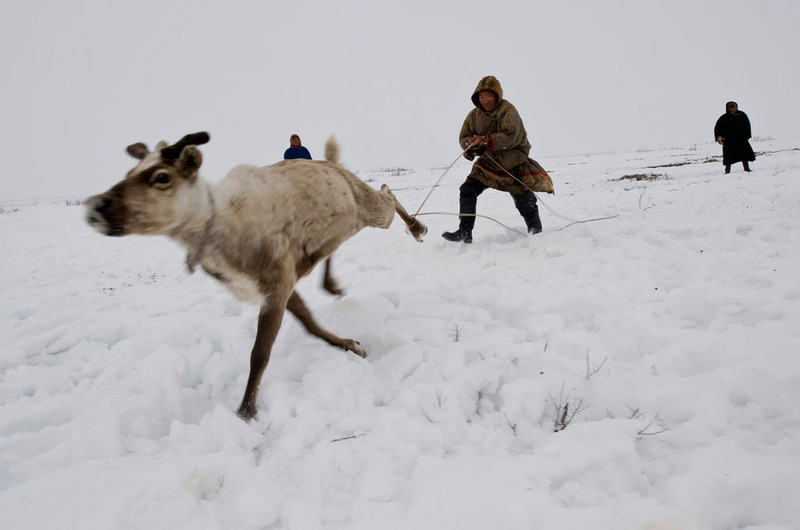 In April, the Nenets start their 700-kilometre summer migration to the north and they do not return until November, the time of the annual slaughter of their reindeer. 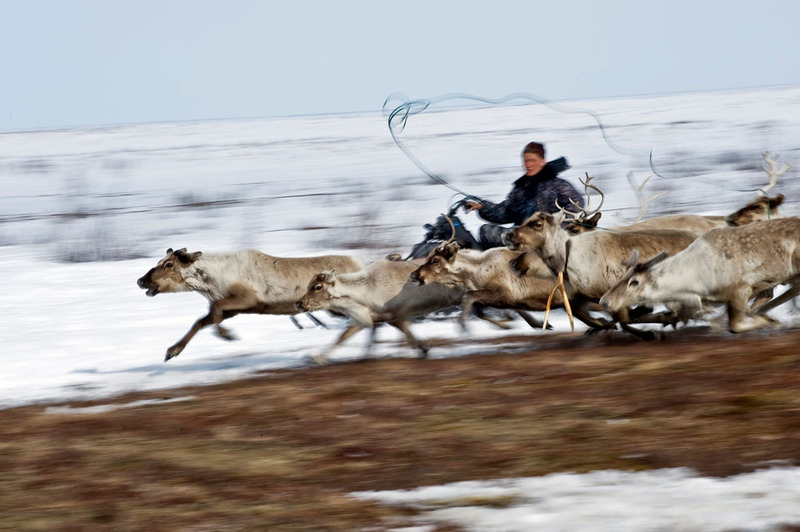 The migration begins by herding the reindeer across the open tundra, which means that the Nenets spend hours and hours on snowmobiles racing after the herd of deer. 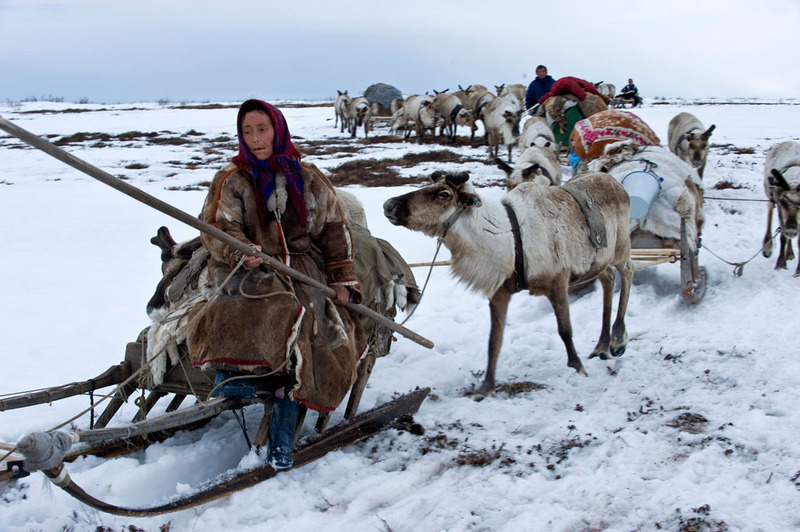 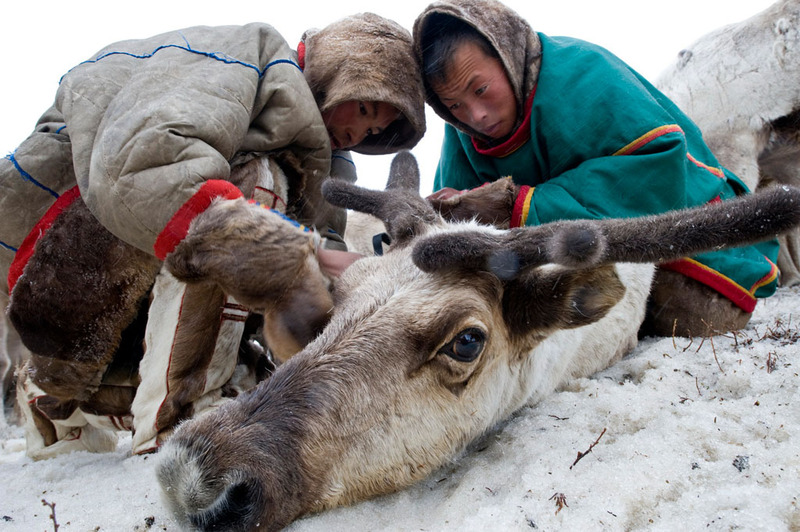 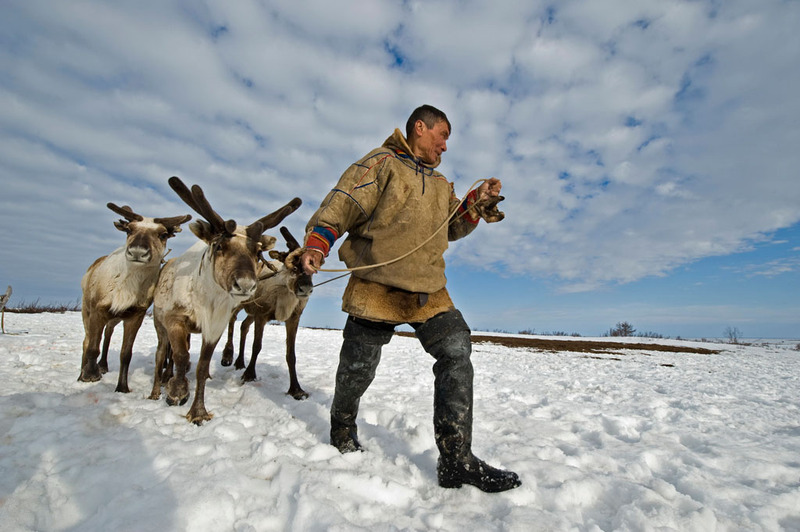 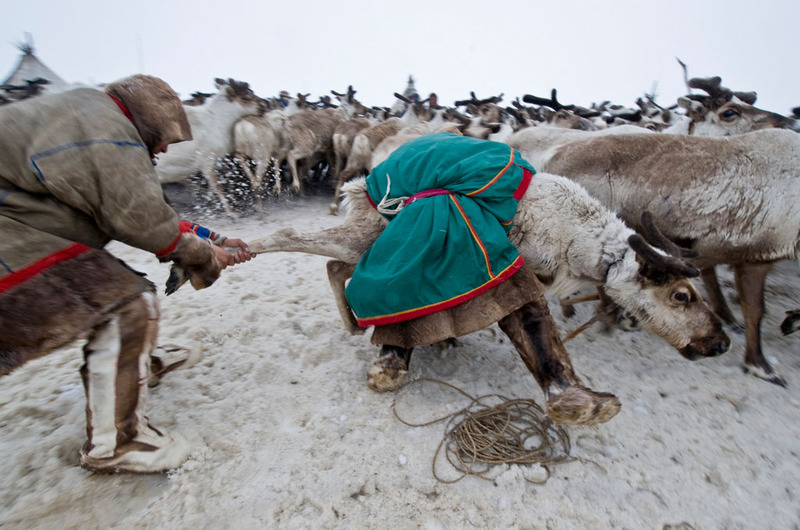 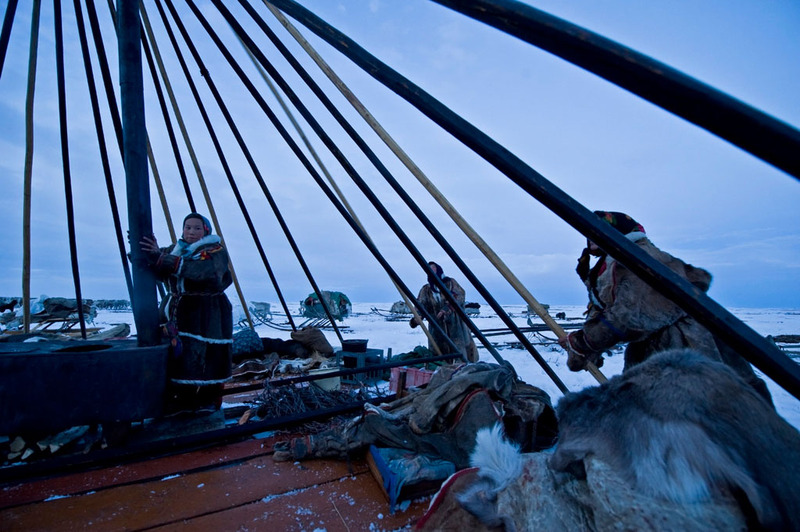 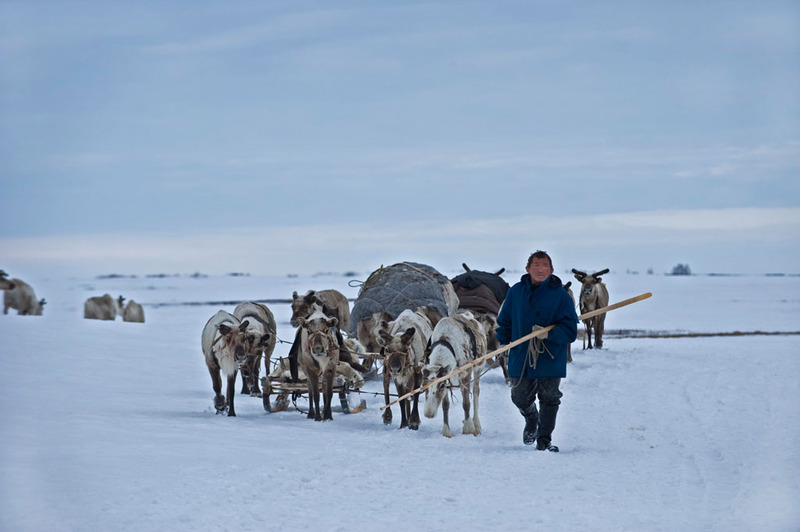 When at last the deer have been herded inside an improvised enclosure consisting of sledges placed in a semicircle, the Nenets choose around 200 of the strongest animals, already trained to pull the sledges loaded with provisions and belongings. 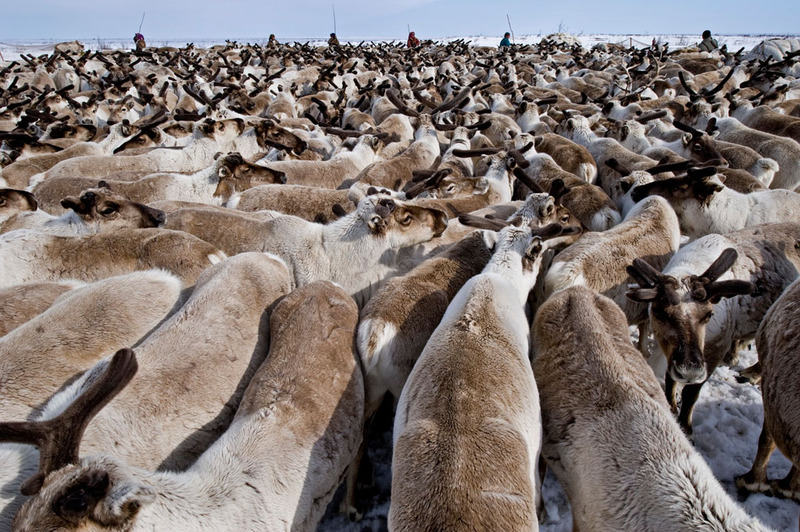 The deer live half wild and are only driven into pens when they are needed – and of course in the autumn, when part of the herd is sold to the meat factory. 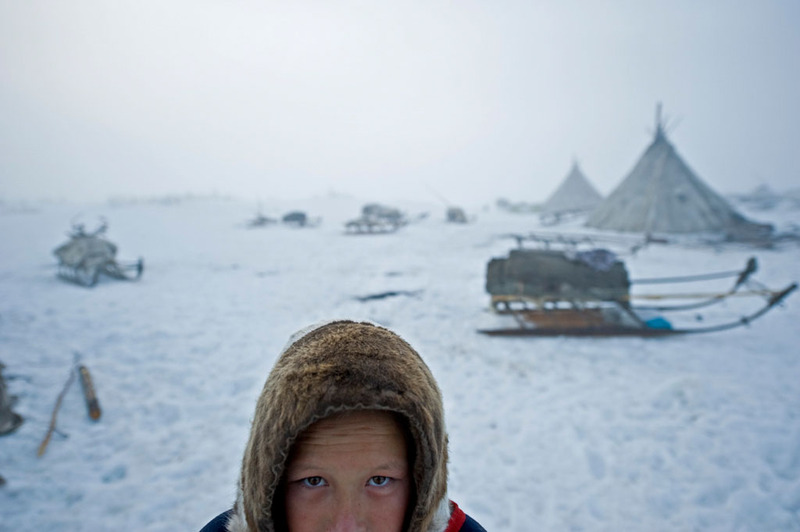 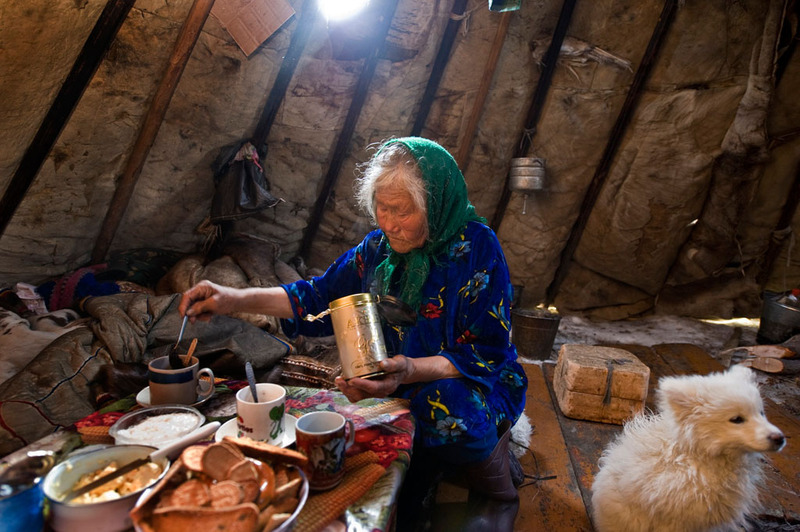 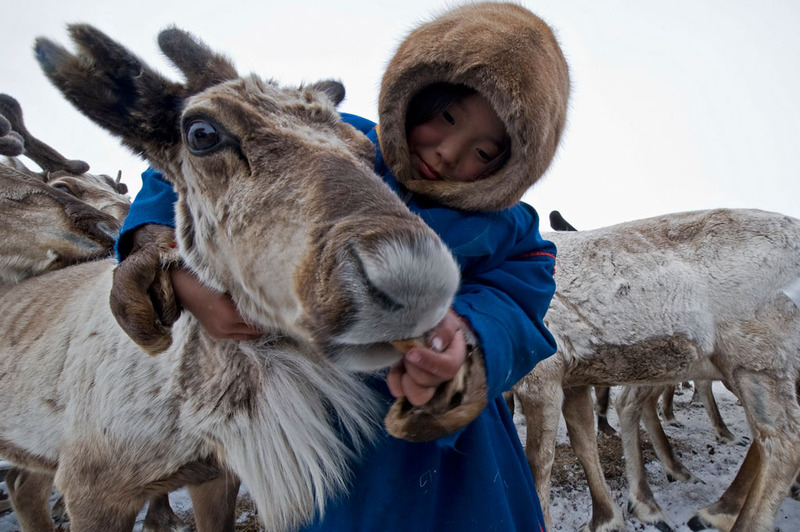 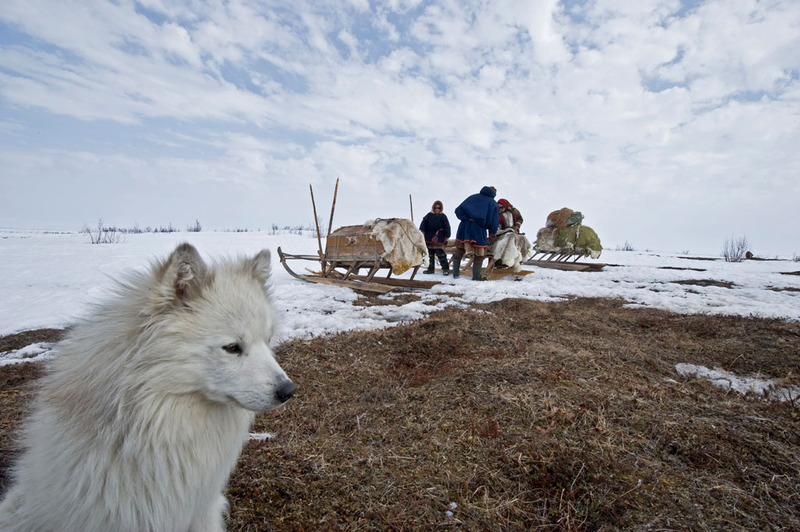 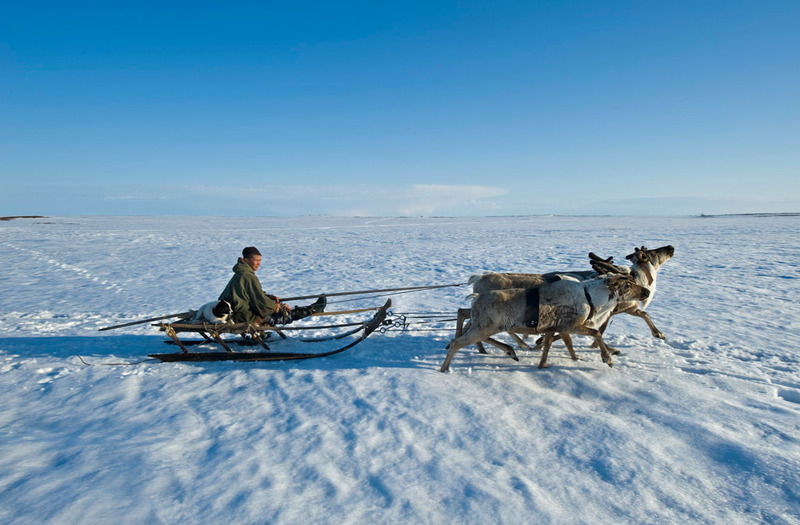 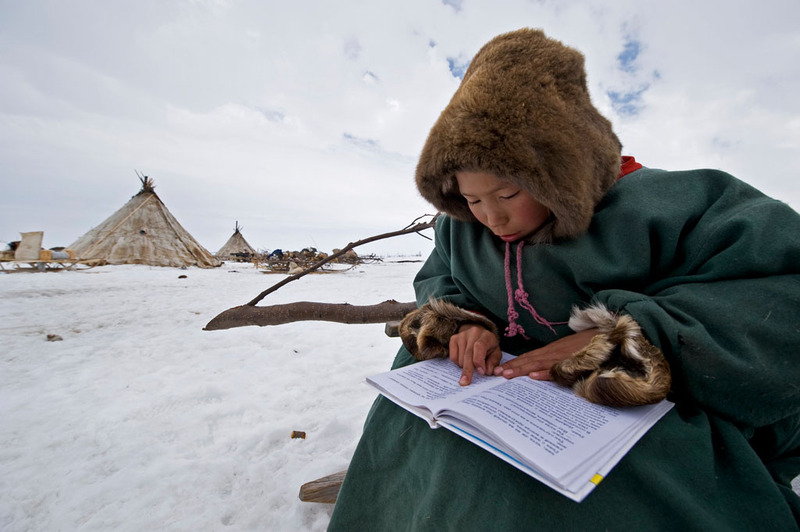 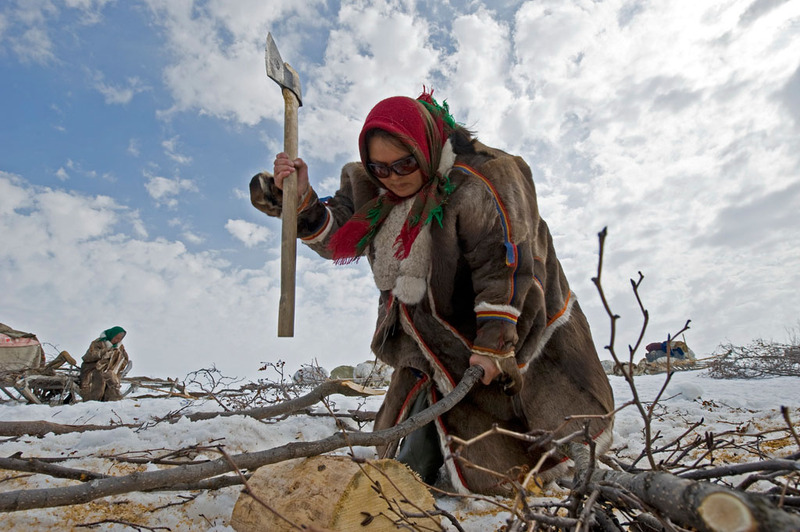 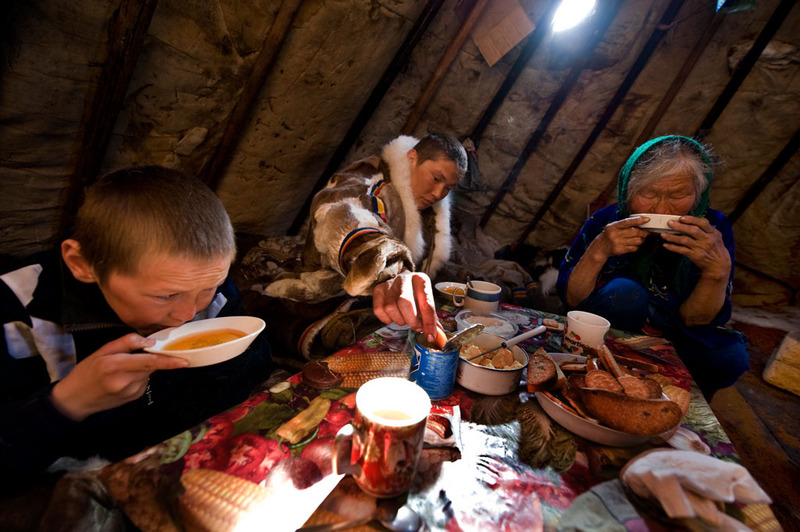 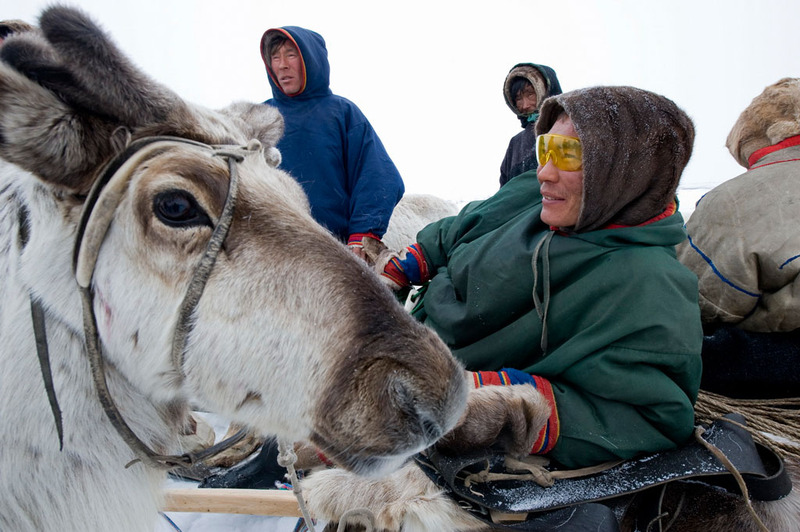 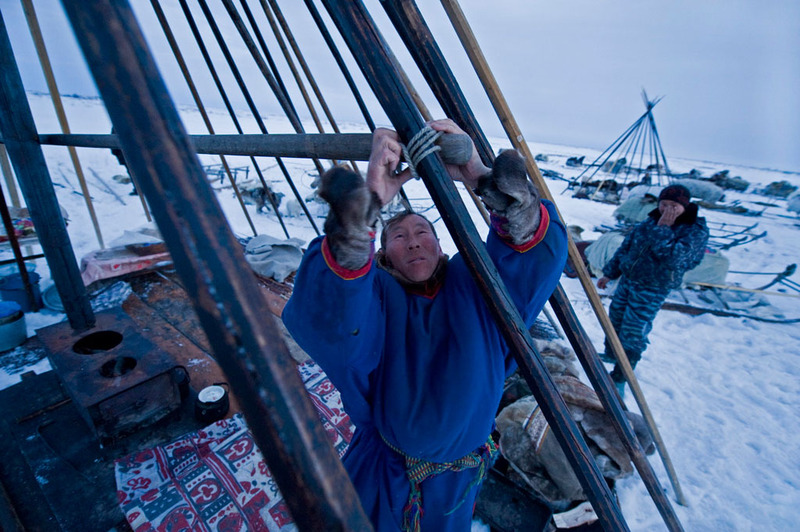 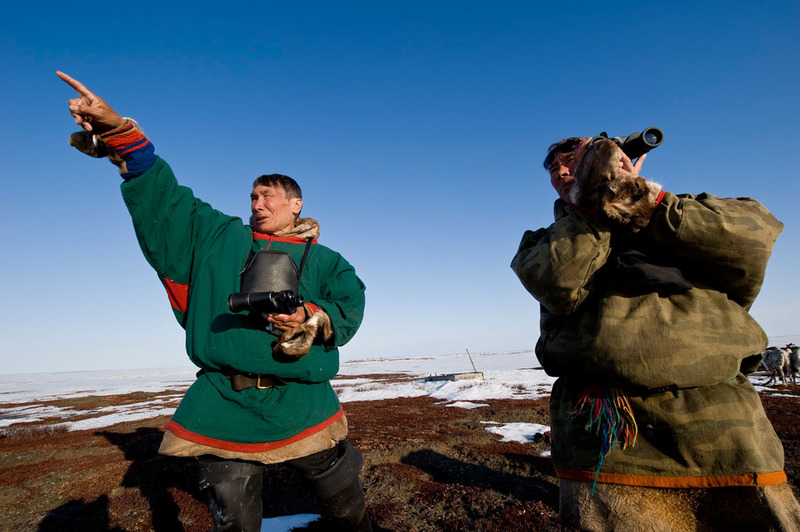 Day after day, week after week, year after year the Nenets follow their traditional life. 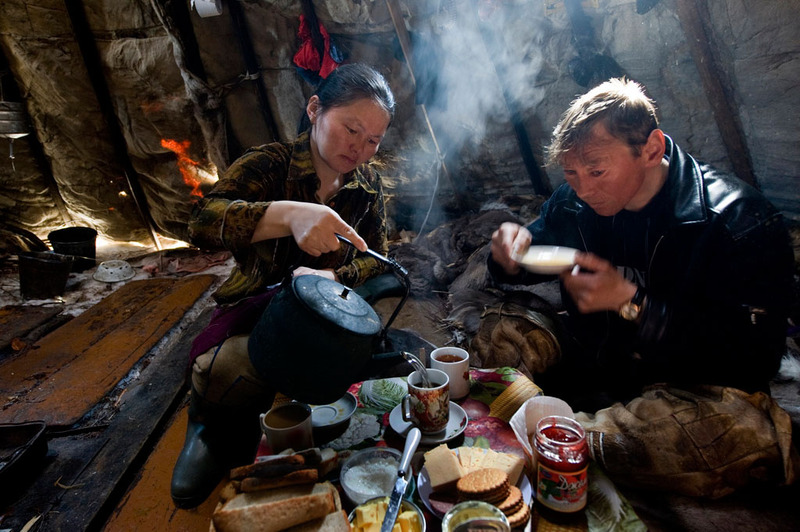 Without running water, a bathroom or a toilet, in the slow but steady rhythm of deeply entrenched customs. 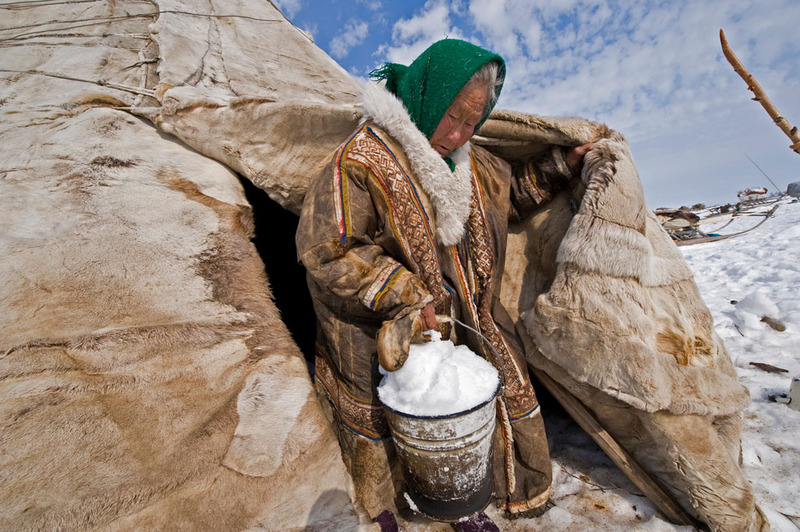 Winter is a time to sleep and rest; in summer they work without stopping, and then perhaps once or twice a year they wash themselves and give their clothes a quick rinse in a lake along the summer migration route.